Not every little girl is waiting for her prince. 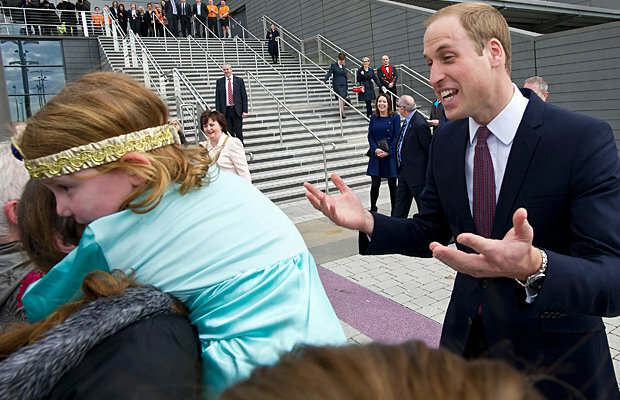 During an appearance in Glasgow, Scotland, on Thursday, Prince William attempted to greet a 4-year-old girl dressed as Disney princess Jasmine with a kiss on the cheek … and she wasn't having any of it! As the father-to-be was making his way down the receiving line of well-wishers, little Shona, dressed in a light blue gown and gold headband, handed him a pink flower. 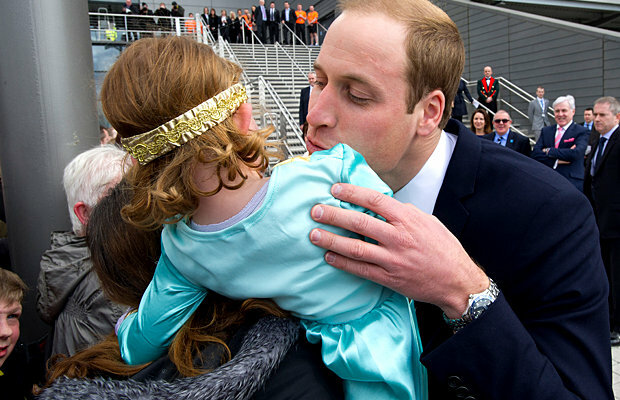 But as the prince tried to say thank you with a smooch, she bashfully turned away and buried her face on her mother's shoulder. "Next time, Shona. Next time," William said, rubbing her back. "It always happens. All girls do that now." Perhaps he knows that because he's been reading up on little girls? The Duke of Cambridge and his Duchess, Kate Middleton, are expecting their first child in mid-July, and during a recent public engagement, she dropped a hint that she was pregnant with a girl. After a woman gave her a teddy bear as a gift, Kate reportedly said, "Thank you, I'll give it to my d—," before stopping short. 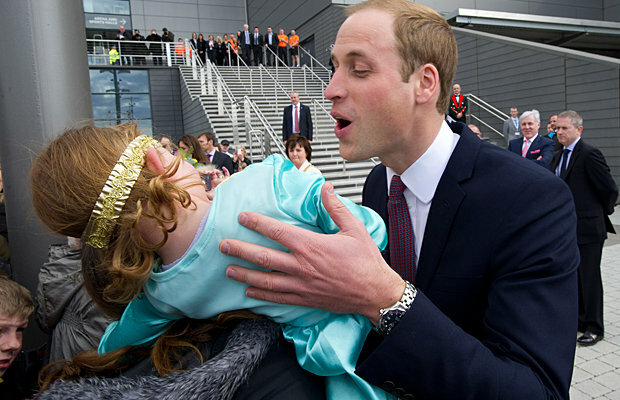 When the woman asked if she was going to say daughter, Kate clammed up. "We're not telling." At the same event with her husband on Thursday, Kate revealed that she and William "have a short list" of baby names for both a boy and a girl, "but it’'s very difficult. My friends keep texting me names."